Used to eliminate the gap between your baby and their highchair, the Tidy Tot Bib and Tray Kit with Travel Bag helps make cleaning up after eating easier and less stressful. Why should I choose the Tidy Tot Bib and Tray Kit with Travel Bag? With a full waterproof coverall bib and a food safe tray, you have everything you need for a cleaner and stress free meal time with your baby. The bib is made from soft fabric that is machine washable for convenience. Its adjustable neck ensures a comfortable and snug fit. The tray helps your baby easily identify food thanks to its neutral colouring. A travel bag is included with your Tidy Tot Bib and Tray Kit. The whole thing folds down to the size of a dinner plate so it is extremely portable and is perfect for meals anywhere you go. 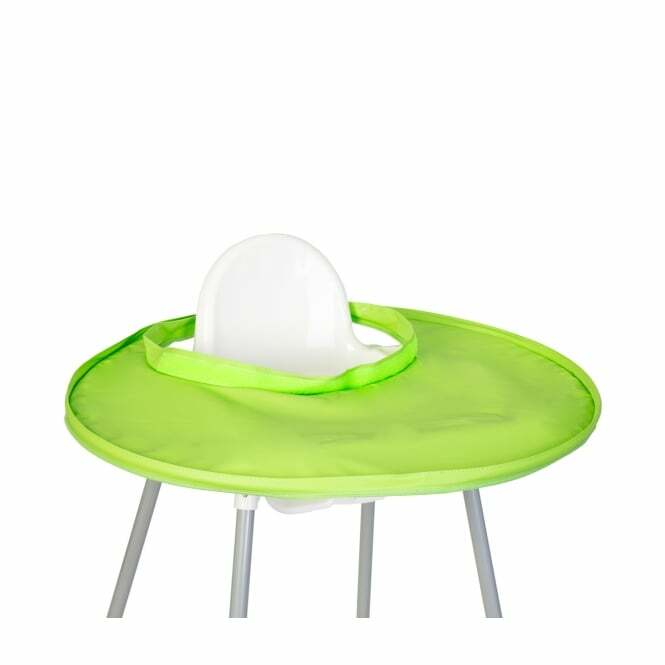 The Tidy Tot Bib and Tray Kit with Travel Bag fits most highchairs and booster seats. What is included in the Tidy Tot Bib and Tray Kit with Travel Bag?